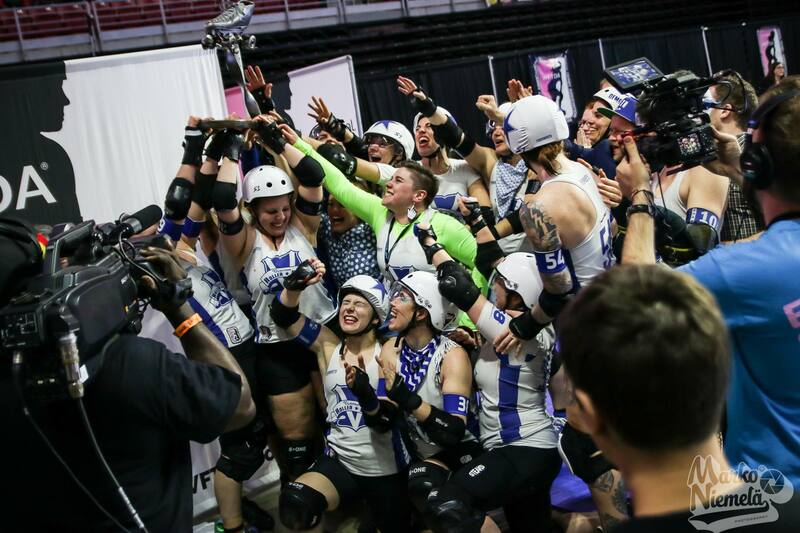 On November 5th (US time), The VRDL All Stars won the annual roller derby Championships hosted by Women’s Flat Track Derby Association (WFTDA) in Philadelphia, Pennsylvania. 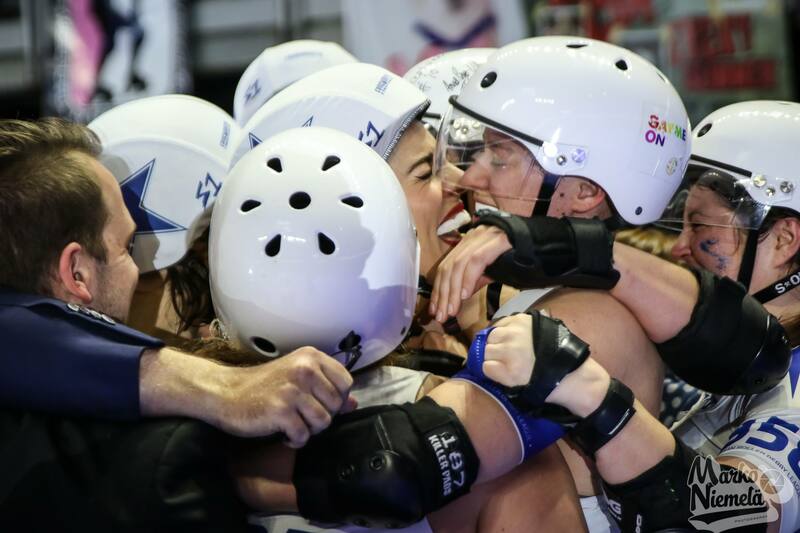 The All Stars maintained the lead for most of the grand final, ended with a score of 180:101 against the reigning champions, the Rose City Rollers Wheels of Justice. In 2015, the All Stars were the first international team to be awarded a medal placing at the WFTDA Championships. After earning another bronze medal in 2016, the team, hungry for gold, amped up their strict training regime of training together for ten hours a week in their home venue: factory in the heart of Preston, Victoria. “We’ve been close in the last two years so it just feels incredible and surreal,” said Captain Scarlet Love after the win. Roller Derby is a full contact sport played on a flat, oval surface where five players from two teams compete to score the most points. Four skaters (the blockers) from each team make up ‘the pack’. After an initial lap, the jammer (who has a star on their helmet) scores points by passing this hips of opposing blockers. There are illegal maneuvers including elbowing and tripping other skaters, gaining advantage by cutting track size short and preventing game play, and these are all managed by the 19 officials required for game play. Victorian Roller Derby League was found in 2007 and competed in their first WFTDA Playoffs in 2011. The league has over ninety members who make up three travel teams who compete on a international, national and regional level.